Get set for your UK car theory test 2016! 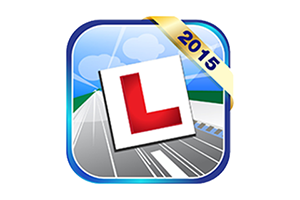 The Theory Test Pass app contains everything you will need to practice for your theory test, including over 950 official DVSA revision questions with hints, tips, feedback and instant scoring, unlimited mock tests, latest hazard perception system, progress tracker to focus your revision on your weakest areas and much more, you’ll be on the road to success in no time! This free to download app grants you access to a select amount of features, some features require an in-app purchase to unlock all features of the app. This app uses official revision questions, with always up to date content for the 2015/16 tests. In Practice mode you can work your way through the 14 topics that the theory test is comprised of, making use of hints and explanations to guide you. Each mode of practice or tests has its own progress tracker, allowing you to see how proficient you are in each category, enabling you to target your revision on your weakest areas, allowing for maximum potential to improve and pass!